This is not a Target book. Let’s get that out of the way straight from the start. 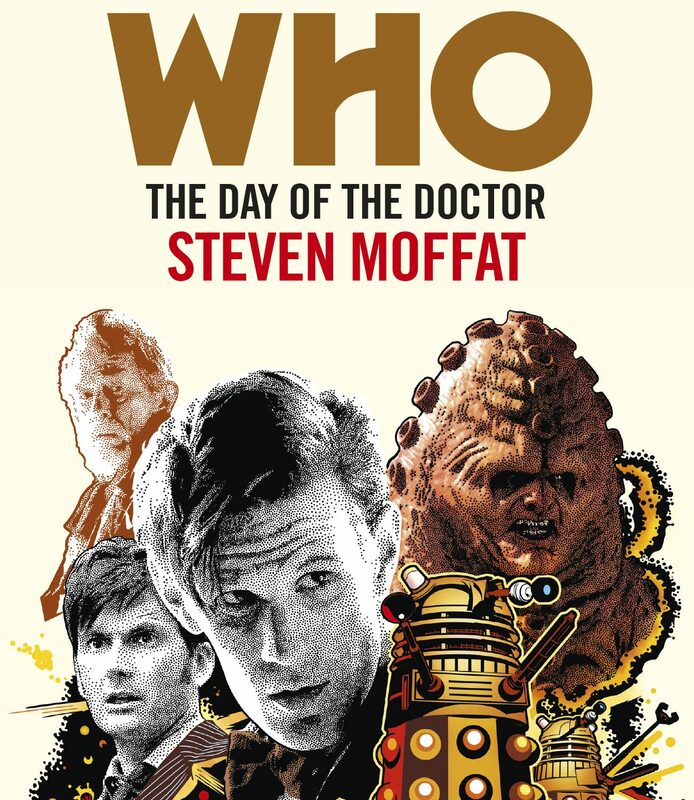 What this is, in fact, is very much a book written by Steven Moffat and how you feel about his tenure is going to dictate just how much you enjoy it. 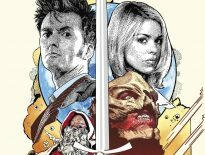 I can’t speak for the other books in this new wave of Targets – City of Death, Rose, The Christmas Invasion, and Twice Upon A Time, reviewed on the DWC throughout this week – but what The Day of the Doctor does do is continue the trend of almost being a true novelisation of the episode it’s based on. The Targets have always played hard and fast with just how they retell the events that were broadcast starting with Doctor Who In An Exciting Adventure with the Daleks, which invents new scenes right from the beginning. Ah yes. The beginning. It’ll come as no surprise that Moffat has abandoned traditional story telling techniques to play silly beggers with chronological structure. But it works and it works well. Whilst watching the 50th anniversary episode at the cinema, on the telly, and on Netflix, I’ve never thought too hard about the name of the episode. It always seemed like a nod to the date it was broadcast and nothing more. Moffat slowly lures you in and then hits you over the head repeatedly over the head with it so much that you begin to wonder how you could have missed it in the first place. The whole book is, in fact, an exercise in expanding and fleshing out its television equivalent. It feels very much like a director’s cut and by Rassilon’s big bushy beard is it fun. Although you are left with the disconcerting feeling that Moffat may be trolling some of his detractors and that this is more of a parting gift than Twice Upon a Time was. Spoilers, Sweetie: He even manages to slip River Song into proceedings and manages to not make it feel like well written fan fiction. What Moffat does do is answer a question that was left as a deliberately vague plot point and turns it into a major plot device. If you don’t realise that’s what he’s done, it probably comes over as quite a surprise come the end of the book, but unfortunately if you’ve worked things out before then, it reads as ‘look how clever I am!’ which is quite distracting. 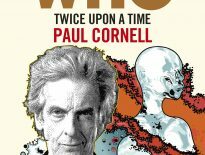 And if I’m being honest that’s a common complaint whilst reading this book: its overall smugness pulls you out of things every so often – no more so than during the Zygon scenes, which quite frankly bugged me in the televised version and continued to do so here. The thing is though, a lot of it is quite clever. It just slows things down when the author stops to point out how clever he’s been. 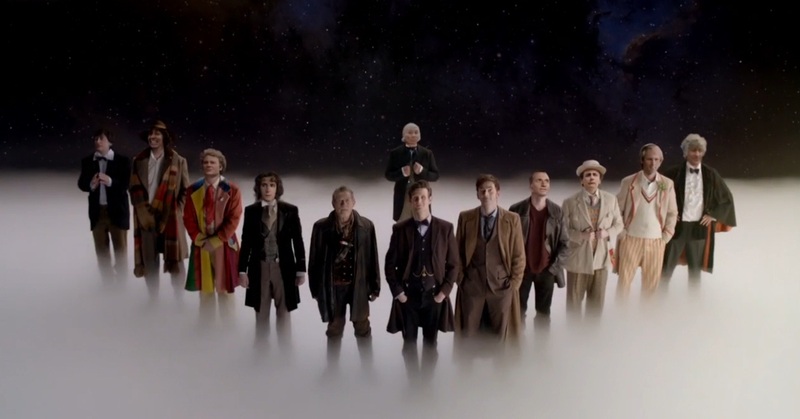 Having said that, I’m looking forward to rewatching The Day of the Doctor again quite soon to see how much I’ve been missing. If you enjoyed The Day of the Doctor and don’t want to see Steven Moffat burned at the stake, then there’s a very high chance you’ll enjoy reading this written version. Just be sure not to miss Chapter 9. I can’t believe they let him publish that part! 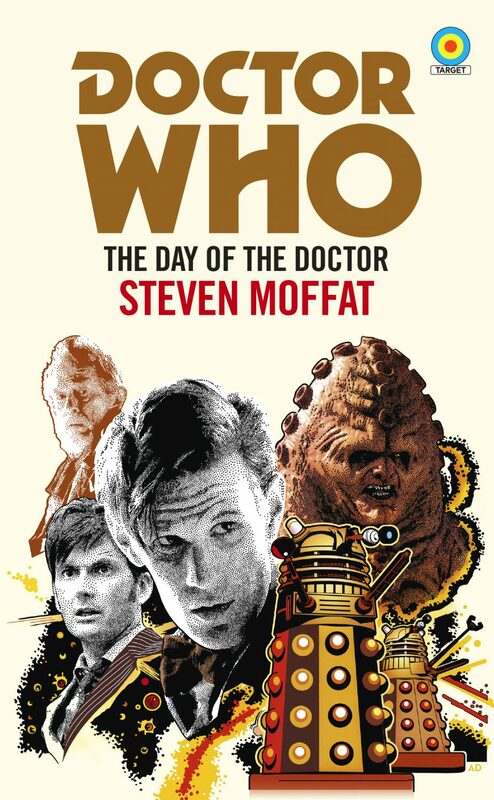 The Day of the Doctor – Target Novelisation – by Steven Moffat, is out now for £4.89.